Time to sell your condo in Compass Point? Read about today's resort-market buyer. Compass Point condos are in the West Beach area of Gulf Shores on Little Lagoon. Compass Point's 70 lagoon front units were built in 1985 and prices start around $200,000. The floor plans range from 728 to 1,290 square feet. Compass Point condos are comprised of 1BR, 2BR and 3BR units and views from different units face in all directions based on the location of the individual unit. Please let us know if you would like further info for Compass Point or any other condos, homes or real estate along the Gulf Coast or would like to schedule a private viewing by emailing info@condoinvestment.com or by calling 251-Area-Pro (251-273-2776) for immediate assistance. Read our Rental Tips to learn how to increase your annual income. Find annual rental revenue numbers for Compass Point and all other Alabama Gulf Coast condos. Click here for aerial photos of the Compass Point condominium in Gulf Shores, AL. Compass Point is located inside the West Beach area of Gulf Shores AL. Numerous Gulf Shores condominiums offer direct access to Little Lagoon including Sea Oats, Gulf Shores Surf & Racquet Club, and The Landing. Search for all Little Lagoon condos for sale and find information on current listings, recently sold listings, photos, and amenities. Don't see any active listings for a particular condominium? 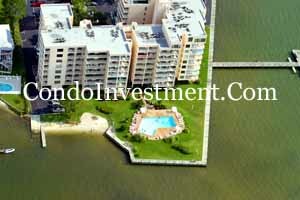 Email us at info@condoinvestment.com and we will notify you as soon as a unit is listed on the market.